IN HER RECENTLY published ethnographic case study of the Cariboo-Chilcotin area, anthropologist Elizabeth Furniss describes what she calls the “frontier cultural complex” or the Canadian version of Frederick Turner Jackson’s American “frontier thesis.”1 The ideology behind the terms centres on the notion that non-Natives who settled on the periphery of mainstream societies have constructed their regional identities based on the premise that the wilderness and all of its natural resources were un-owned and therefore “free for the taking.”2 Furniss further explains how Euro-Canadians’ belief in their own “superior cultural knowledge, material privileges, and political authority” has placed them into categorical positions with Natives that are “mutually exclusive and oppositional.”3 Her study, which focuses on contemporary Native/non-Native relations, also demonstrates how this “frontier cultural complex” continues to be perpetuated in a public context through local museum displays and popular histories. Drawing on Richard Slotkin’s study of the American “frontier myth” and a substantial collection of local monographs, Furniss illustrates how popular histories from the interior of British Columbia tend to follow a similar thematic template that begins with the white man’s journey into the wilderness and his “regression to the more ‘primitive’ conditions encountered there.”4 These frontier male-centred narratives then progress to their central purpose, which is to detail the “epitomizing events” that exhibit the daring, heroic actions of white men as they struggle valiantly to conquer and tame the harsh wilderness environment and all of its natural beasts (including “potentially hostile Indians”).5 The symbolism and metaphors that characterize these romantic frontier narratives include a litany of “firsts,” the element of “discovery” or “empty” wilderness, the heroic policeman or doctor, and many other stereotypical assumptions that tend to neglect or place First Nations peoples on the periphery of the narrative. While many scholars argue that such romantic and subjective renditions of the past contribute to the notion of regional imperialism, the proliferation of popular histories in recent years clearly indicates that the province’s non-academic, mainstream literary audience appreciates reading about the adventurous tales and experiences of early settlers and regional pioneer families. Prince George author Jack Boudreau has written four popular history bestsellers in recent years, including his two latest: Mountains, Campfires and Memories and Wilderness Dreams. Although the title of the former suggests that this book offers a nostalgic glimpse of the past, Mountains, Campfires and Memories could have been more appropriately named Survival and Death at the Hands of Nature, Beast, and Humans in the Wilds of British Columbia. Boudreau draws on a lifetime’s worth of personal experiences and brutal wilderness stories told to him by guides, trappers, game wardens, settlers, and prospectors in this collection of spectacular tales about murder, suicide, hunting deaths, and river and airplane accidents, all of which occurred in the rugged mountainous areas of northern British Columbia during the past century. The book is loosely organized into thematic chapters, which include dangerous water mishaps, bush-crazed trappers and heroic game wardens, hunting tales, manhunts, and grizzly encounters. It follows no apparent chronological order and has a rambling and often humorous conversational tone that allows the author to frequently digress from one topic to another. Boudreau’s latest book, Wilderness Dreams, is a departure from his previous works as it represents his first attempt at biography. The genre appears to work well for him as it supports a more focused and linear narrative yet still permits him to share with the reader his own love of the outdoors and pioneer life. The book details the life experiences of Clara and Ted “Hap” Bowden, an American couple who came north looking for “gold” and adventure more than fifty years ago and decided to settle permanently on the edge of civilization, twenty-five miles southeast ofQuesnel. The economic adventures of this strong, independent-minded couple truly epitomize the notion of “living off the land” for they have successfully raised their family and survived in the bush for over fifty years by ranching, hunting, trapping, logging, mining, and, more recently, deep-sea fishing. 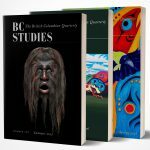 Although Sterling Haynes’s collection of short stories, entitled Bloody Practice: Doctoring in the Cariboo and around the World, does not fit into the category of an “early settler” narrative, it does include many of the stereotypical elements portrayed in Furniss’s “frontier cultural complex.” With a great deal of humour and creative skill, Haynes provides highlights of his forty-year career as a rural and urban general practitioner, which began in Williams Lake in 1960 and eventually took him to Alabama, Nigeria, and South America. The author’s portrayal of Williams Lake as “the last frontier” and his medical tales paint a picture of a “Wild West” community best remembered for murder, “wild” Indians, drunken brawls, and benevolent medical heroes. The second half of the book, on the other hand, is a series of unrelated anecdotal vignettes that include childhood reminiscences, medical details of George Washington’s death, the introduction of patent medicines in the United States, Vietnam veterans, civil rights heroes, and the medicinal attributes of indigenous plants. While the thematic template of popular histories may fit uneasily into the mainstream of academic social analysis, there is no question that the “frontier cultural complex” will live on in local bookstores for many years to come. Elizabeth Furniss, The Burden of History: Colonialism and the Frontier Myth in a Rural Canadian Community (Vancouver: UBC Press, 1999), chap. 3. Ibid. See also Richard Slotkin, Regeneration through Violence: The Mythology of the American Frontier, 1600-1860 (Middletown, CT: Wesleyan University Press, 1973). Furniss draws on Slotkin’s work to emphasize the continuities between American and Canadian frontier narratives. Furniss, Burden of History, 18.